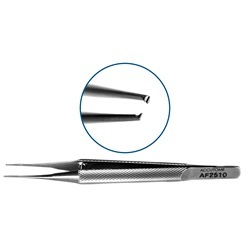 O'Gawa Suture Fixation Forceps have straight shafts, round handles, and are available in stainless steel. 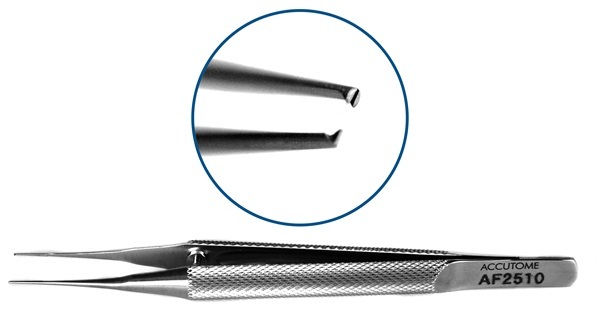 Tips are available in various sizes and have 1 x 2 teeth with a 5.5mm tying platform. 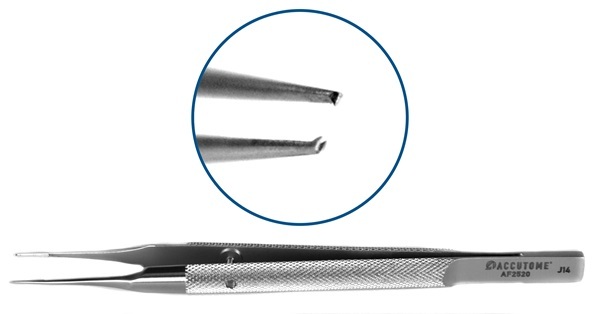 0.13mm 1 x 2 teeth. Overall length: 86mm. 0.3mm 1 x 2 teeth. Overall length: 111mm.